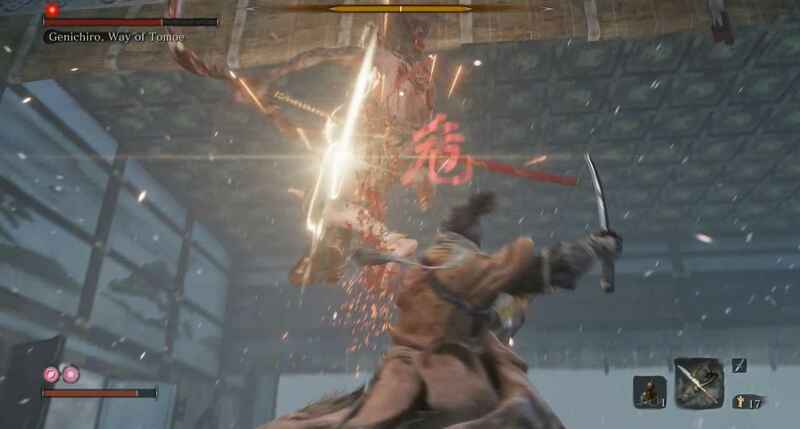 Genichiro Ashina is the third boss in Sekiro: Shadows Die Twice. 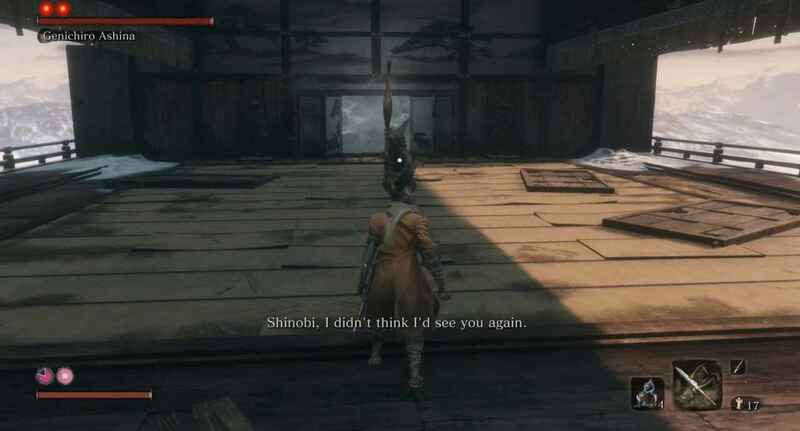 He is found at the top of the tower in the Ashina Castle area. You can reach him by heading along the rooftops and around the left side. At the back of the tower, you can grapple up to enter it. At the very top is Genichiro. He can be a tough fight due to the variety of attacks he has. He also is the first boss to have three healthbars. He also has two separate phases; the first phase takes up two healthbars and the second takes up the final one. To prepare for this fight, you should have used at least eight Prayer Beads and upgraded your attack to level 3, by beating both Gyoubu Oniwa and Lady Butterfly. I recommend having four uses on your Healing Gourd as well. No Prosthetic Tools are necessary, so bring what you feel comfortable with. We are going to start with the first phase. Genichiro has two types of attacks. He can attack with his bow or with his sword. Bow attacks come in the form of a short charge up, which can be dodged or deflected, a long charge up which is hard to dodge and should be deflected, and a rapid five shots, which are hard to dodge and should also be deflected. He can also do a short charge shot and a roll towards you followed by a sword hit. 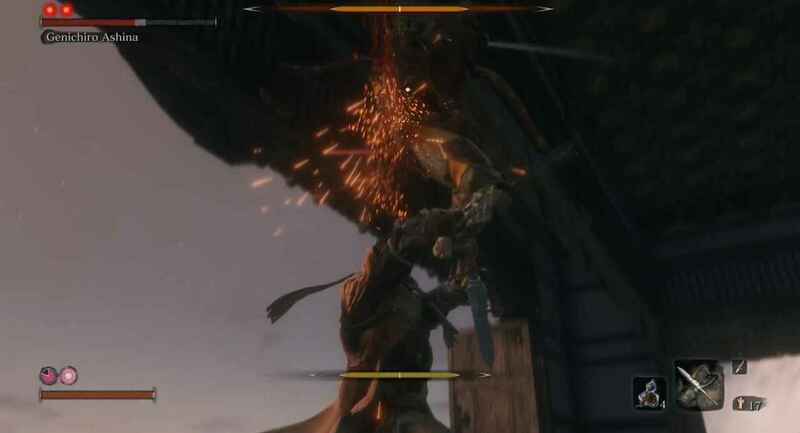 Deflect the arrow and dodge to the side when this happens. He will always open the fight with this attack. 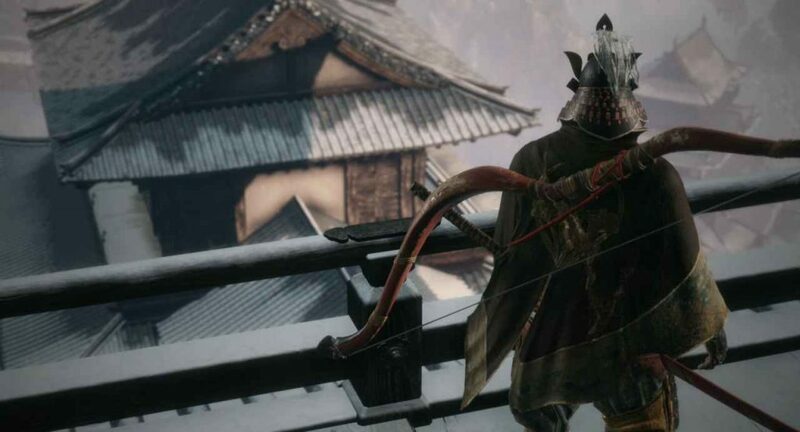 Bow attacks are the biggest nuisance with Genichiro. Any overhead swings with his sword can be deflected. If he holds the sword to his side he is about to do a quick flurry of attacks. Deflect the first two and dodge back twice until he finishes the combo. You can then land a few hits in. If he jumps into the air, you want to dodge to the side. If the perilous symbol pops up afterwards you will want to jump to dodge the incoming sweep attack. Jumping attacks are also easy to dodge. 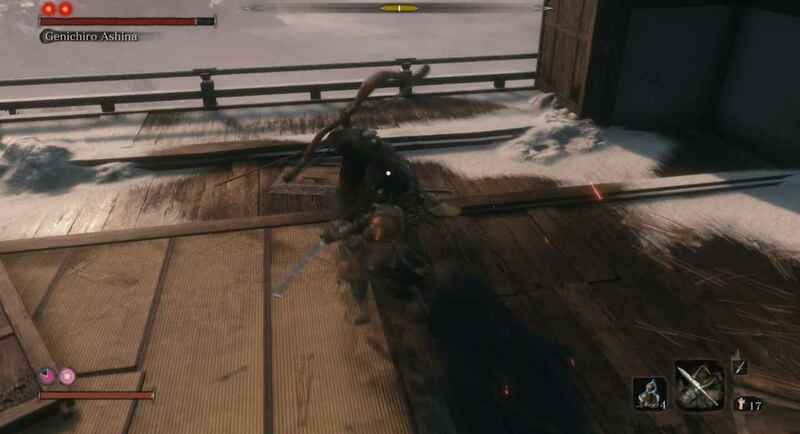 Genichiro can also execute a grab attack. He will face you at 90 degrees and the perilous symbol will pop up. Dodge backwards to avoid it. The grab is very well telegraphed. Finally, he can hop backwards. If he does this he will enter be defensive for a while. You can attack him for a bit to whittle his posture down. There is a chance that when he does this he will use his bow. If this happens you can swing one or twice to break him out of it. He will then dodge and do the same thing again a couple of times. This is a nice way to soft ‘stun-lock’ him into doing one attack. After the third or fourth he will stop. This stun-lock technique is a helpful way to defeat Genichiro. You are going to want to battle it out using swords here. I didn’t find any of the prosthetics to be useful. do the above actions whenever he executes those moves and attack every now and again to keep up the pressure. 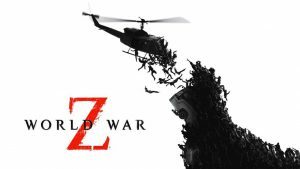 This will likely take you some time, as his bow attacks can be particularly hard to time. However, you will get him after enough practice. On to phase two. In this phase, the majority of his attacks are the same as before. However, any time he jumps in the air he can imbue his weapon with lightning, that includes both his bow and sword. These attacks can be easily dodged by moving to your right. If you stick close to him you can stop him from doing the bow attack that shoots rapidly. The lightning is surprisingly easy to dodge. Honestly, that is it just do the same thing as before, with the added dodge if his weapon becomes imbued with lightning. He will start off the phase by doing a perilous attack, which can be a thrust or a sweep. You can jump to the side to avoid both of these. Once his healthbar is down, that is is Genichiro defeated! We have full walkthroughs of the Ashina Outskirts and the Hirata Estate showing you every item and secret. 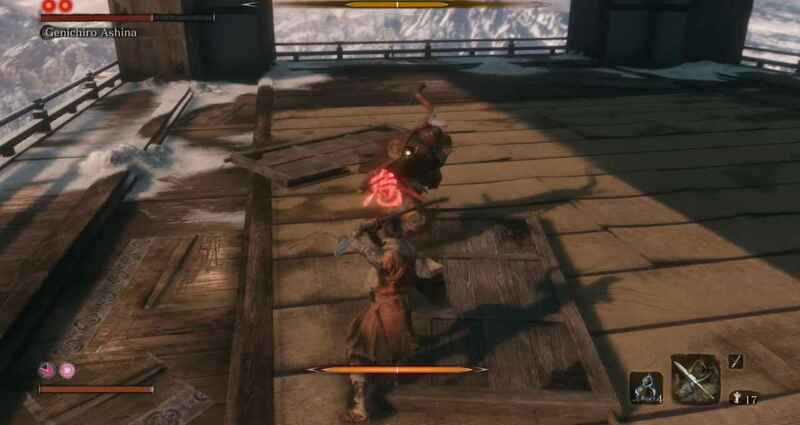 You can also see out full guide on the Ashina Castle area. 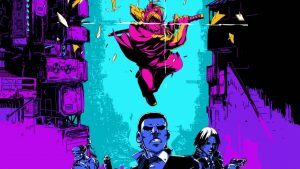 Stay tuned over the next few days for more Sekiro guides.